Women's US Shoe Size: 6 - 8.5 and Foot Length of 8.75" - 9.75". Instructions are given using a circular needle for the magic loop method. If you’re making your socks using the magic loop method, be sure to pull tight each time when knitting the 1st stitch on each one of the needles (front and back) to prevent a hole. NOTE: The cables are worked over 6 stitches only on the front needles. Repeat round 20-24 til you reach round 66. At this point, your sock should reach where you’re foot meets your leg. NOTE: for the front needle we will continue working the same pattern that we have been doing while for the back needle we will start increasing to form a “V”. As you start doing the heel, you will start seeing a pattern and it will become easy. 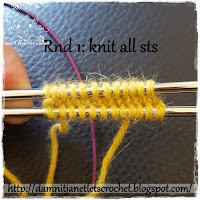 Rnd 89: repeat rnd 18 and leave the back needles unworked. NOTE: we would only be working on the back needle in rows to start decreasing and shaping the heel. Place a marker at the center of the heel (back needle). 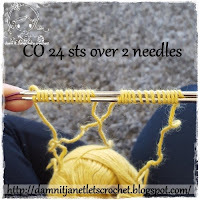 You should have ended with the wrong/purl side and with 28sts (original amount before increasing). Turn your work and knit across. Repeat above process on 2nd sock. Keep repeating round 90-94 ‘til you reach round 131 or desired length. 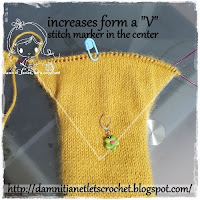 Bind off by using Jeny's surprisingly stretchy bind off. Secure and weave in the ends. This pattern is an original pattern by Janet Carrillo "damn it Janet, let's crochet!" (May 2018). Please do not claim this pattern as your own. If you wish to share this pattern, you may link to this pattern but please do not reprint/repost it on your site. You may print and keep a copy for your own personal use. Please do not resell or distribute it.